Carol's Craft Room: May Tag Winner! 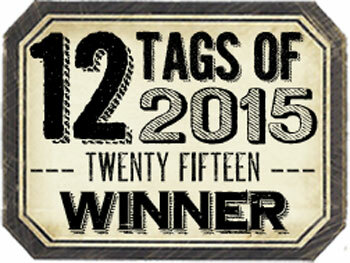 just a very quick post to say how utterly chuffed as little mint balls I am to be chosen as one of the May winners of Tim's 2015 Tag Challenge .... utterly chuffed and stunned ! I'm very proudly displaying my new badge (in the RHS margin) YEA!!! Thank you all so much for your lovely comments... I was really touched to receive them. Tim's posted his June tag but I'll have to wait a couple of days before I can play but never mind. Half the fun is having my mind racing with ideas and thought on how I'll do my tag. Happy crafting & look forward to seeing you soon.